5 Bedroom Detached House For Sale in Swindon for Guide Price £1,250,000. 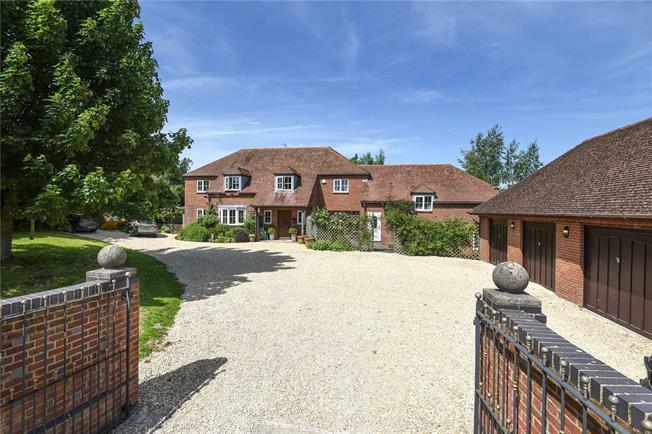 WATERSIDE - This large, modern, detached village house has been the long term family home of the current occupants who built the house many years ago. The house sits well in the popular village of Winterbourne Bassett which is in an Area of Outstanding Natural Beauty at the foot of the Wiltshire Downs. It offers versatile accommodation and includes two attached annexes suitable for relatives, or to let independently, as well as a spacious, open and light family house.